Over the years, my style has changed drastically. And by drastically I mean it's gone from "Look away! It burns the eyes!" to "That chick kind of knows how to put a shirt and pants on and make it look like an outfit...". Don't believe me? Just take a gander back through the WEAR section. Not only will it prove my point tenfold, you'll also get a good laugh in the process! While I may not have always had the best style, one thing that I have had is my scarf collection. 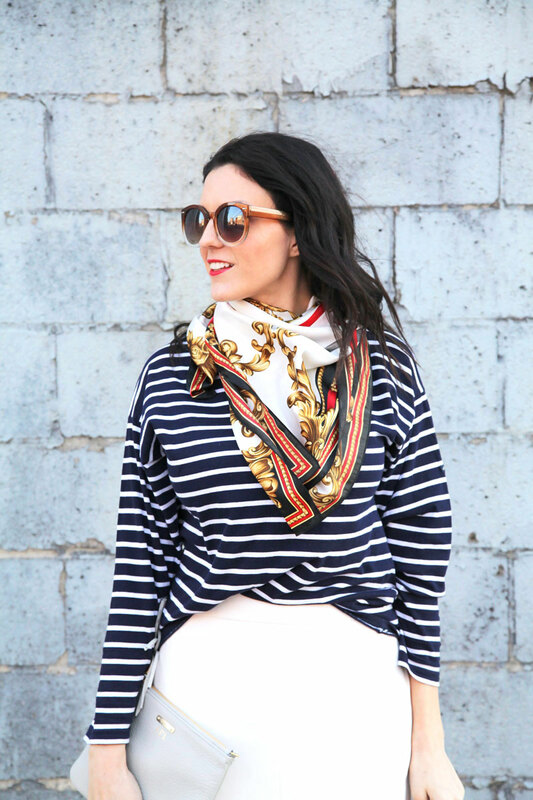 Whether it's a knit scarf in the fall and winter or a silken neck scarf for spring and summer, they're a piece I can't live without. They are my favorite accessory, my go-to closet item and my hidden weapon for days I'm feeling blah. Basically, there is nothing that a scarf can't hide or accentuate or make better, and, in my opinion, every woman needs at least one in her closet. To prove my point, I'm showing you 6 ways to wear a neck scarf, all demonstrated with a single scarf (even though I admittedly have quite a few). Keep scrolling to see all the looks plus find some of my favorite neck scarf options (in a variety of styles of price points) at the bottom of the post. 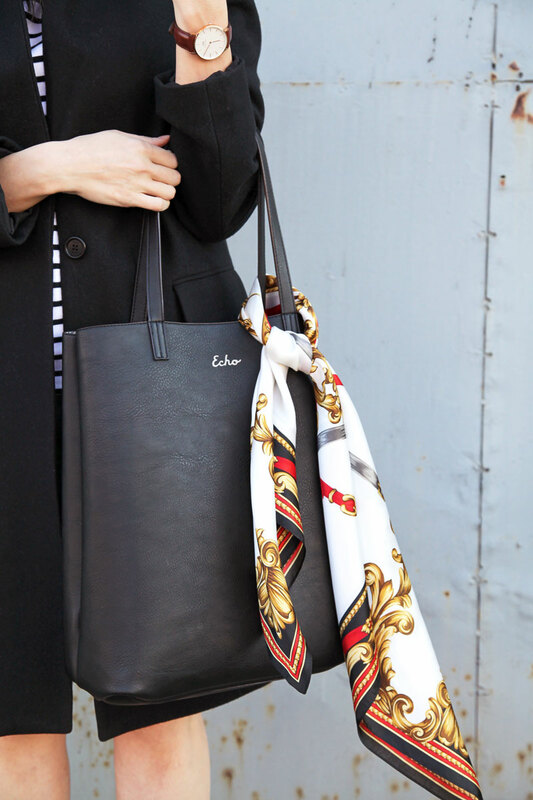 Are you a fan of accessorizing with scarves? What's your favorite way to do so?